A car’s brakes screech and as a pedestrian your muscles automatically react. But how does the brain figure out how close the danger is or whether to freeze or run? How does the auditory system in the brain transmit information that leads to decisions and actions? 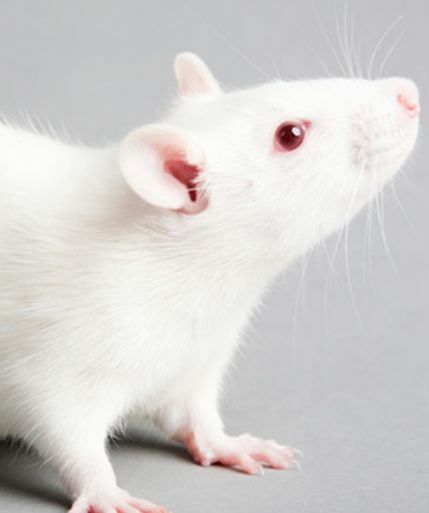 Researchers in Cold Spring Harbor, NY trained rats to listen for sounds and act based on those sounds. According to Zador what we know is sound comes in the ear and what comes out is some kind of decision or action. “These experiments in rats have implications for how neural circuits make decisions, according to Zador. Even though many neurons in auditory cortex are “tuned” to low or high frequencies, most do not transmit their information directly to the striatum. Rather, their information is transmitted by a much smaller number of neurons in their vicinity, which convey their “votes” directly to the striatum. This is like the difference between a direct democracy and a representative democracy, of the type we have in the United States,” Zador explains. “In a direct democracy model of how the auditory cortex conveys information to the rest of the brain, every neuron activated by a low- or high-pitched sound would have a ‘vote.’ Since there is noise in every perception, some minority of neurons will indicate ‘low’ when the sound is in fact ‘high,’ and vice-versa. In the direct democracy model, the information sent to the striatum for further action would be the equivalent of a simple sum of all these votes. Research related to how we act in response to sound cues could help us figure out how to best utilize clinical alarms in healthcare. What factors are involved? should clinical staff have regular hearing tests? Should the hearing test be geared to the frequencies of sound from the area in which staff perform? Could we test the muscle response to various alarms to determine the psychological and physiological components of alarm fatigue? PAtient Safety interventions should be guided by the amalgamation of reseach in neuroscience, psychology, engineering, medicine and nursing.